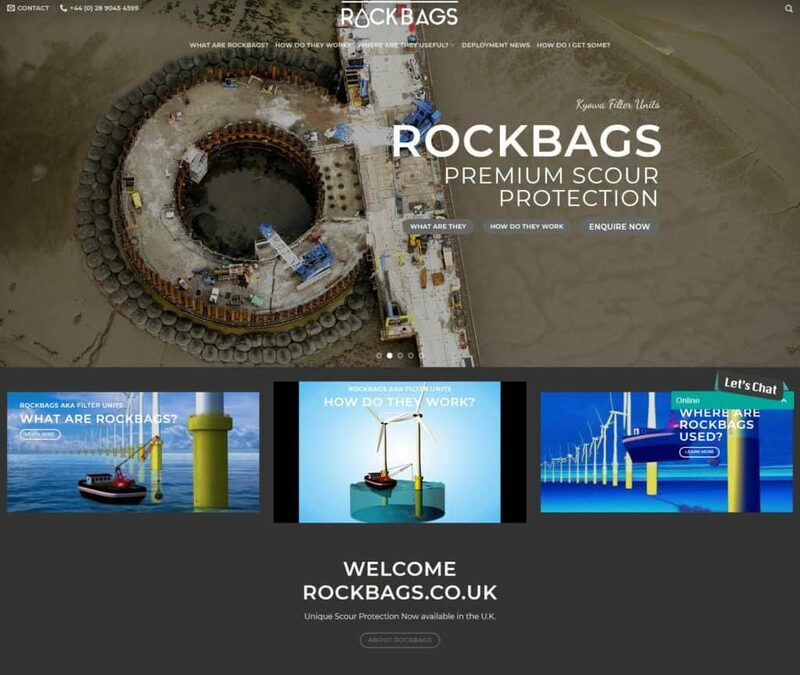 We are delighted to announce the launch of rockbags.co.uk, the next step for Ridgeway in marketing their unique Kyowa Filter Units to the UK and Irish civil engineering and offshore sectors. Rockbags puts front and centre real life sea and shore deployment stories and directly answers questions like ‘where are they useful?’, ‘how are they made?’ and ‘where can I get some?’. Rockbags.co.uk is a great example of reimagining an existing product and presenting it to the target market using the latest web design tools. We’d love to hear from you if you have a project large or small that needs some creative re-thinking. Just drop us a line or give us a call. Next: Next post: Little card, big deal!